LIST YOUR product or service to sell to Coachbuilders and New Automobile Production Folks who are searching for your products when you join as a Charter Member of the Coachbuilder Reference Index at alteregom.com. Any VIEWING on our website is always FREE of charge, and, we NEVER sell any of your information to any source. The cost is $50.00 per year for a fifty word listing that YOU write for the Coachbuilder Business Reference Index. Your contact information doesn't count toward the fifty words. Your listing will come due each year on the anniversary of your membership into this index network. If you become a member from now through the end of April 2020, you will be a Charter Member and therefore the $50.00 annual cost for your listing will remain the same for you if increases in cost occur over time, so long as you continually advertise with us each year. After you have paid for your membership below, please email linda@alteregomc.com with your fifty word narrative you want to appear in your profile here at Coachbuilders of America Business Reference Index. ALSO send all of the contact information you want to appear in your profile - but the contact information will not be counted toward your fifty word limit. It's our little gift to you. As soon as possible after your information appears in our inbox we will list your information on this page. We are thrilled to be able to provide a new and much needed Comprehesive Network for Coachbuilders! Here are the various memberships available now on altergomc.com:. If you want to apply for any other memberships please go back to our Home Page and then go to the Specific CHoachbuilder Membership Page you are interested in. alteregomc.com offers Memberships in Coachbuilders of America; Coachbuilders International; Coachbuilders of America Friends and Associates; Coachbuilders International Friends and Associates; Coachbuilders of America Business Reference Index; Coachbuilders International Business Reference Index; Coachbuilders of America Museum Index; Coachbuilders International Museum Index; Coachbuilders of America Automobile Shows, Meetings, and Events; Coachbuilder International Shows, Meetings, and Events; Coachbuilders of America Automobile Collectors Index; and, Coachbuilders International Automobile Collectors Index. Please return to the Home Page here at alteregomc.com and refer to specific Coachbuilding Pages of interest to you on this website for details about each segment of Coachbuilding Memberships. Right now all of our domains are linked here to alteregomc.com which includes coachbuildersofamerica.com, coachbuildersinternational.com, motorcyclebuildersofamerica.com, motorcyclebuildersinternational.com. As time and resources permit, we'll move the components over to their own home base. So speaking of that, if you think all this Coachbuilder organization "birthing" is overdue, and, you want to donate to help us with all of our overhead costs as we tackle this exciting new project, please consider donating to the cause. There is a donation button at the end of each Coachbuilder Page. We are deeply appreciative of both your interest, your support by asking your own clubs and organizations to vote to accept our suggested world-wide terminologies and protocols for Coachbuilding, and, your financial support. If you are interested in a listing for Motorcycle Parts And Services both within the United States of America and Internationally, or, a listing for Mastercraftsmen/women in the Motorcycle Design and Building Business, and all other Motorcycle Building Related Memberships we have available for you, please go to those specific pages on our Website. 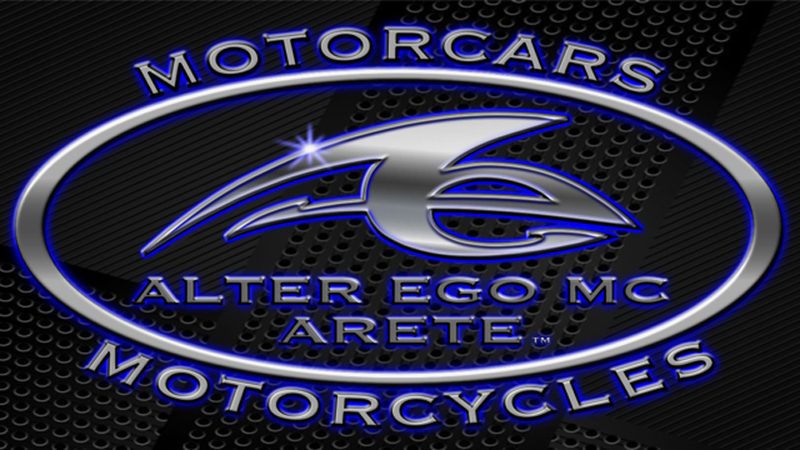 alteregomc.com also offers a variety of Memberships for Motorcycle Builders. Please go to our Home Page and select your area of interest in Motorcycle Building Memberships. Thank you for your interest in Alter Ego MC, and, for your support of the incredible salted and seasoned hands of the amazing Coachbuilders and Motorcycle Builders across our big blue planet we all call home. We honor them, and, you in your business endeavor to serve them. Should you like to donate, we appreciate that from the bottom of our hearts. Thank you.